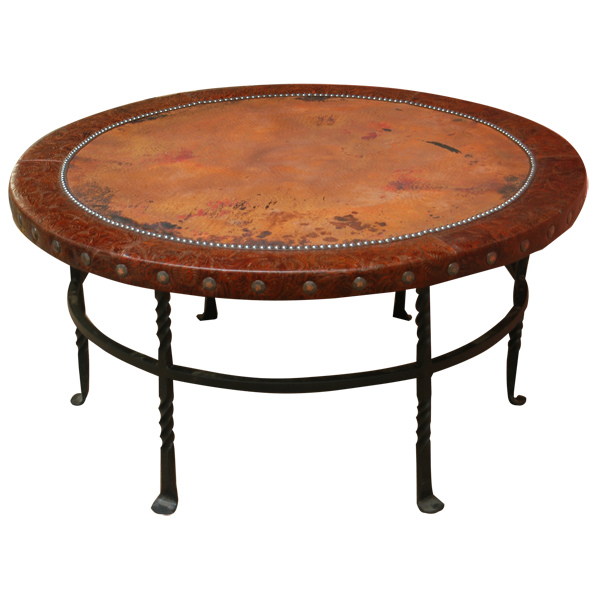 This handcrafted coffee table combines hand hammered copper, full grain leather, and hand forged iron details to create a marvelously designed table. 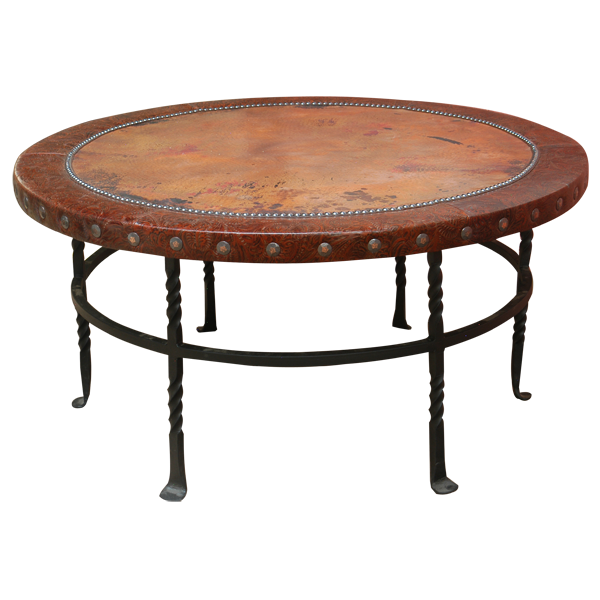 The coffee table features a circular top, and the top is covered with luminous, hand hammered copper with a beautiful patina. 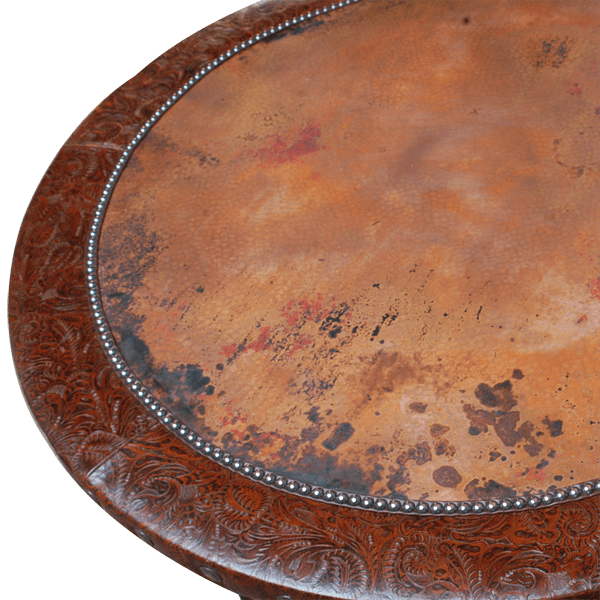 The copper top is bordered by rich, patterned, full grain leather, and the leather is hand tacked to the top with lovely, gilt nails. The sides of the top are embellished with hand forged, iron nail heads intermittently hand tacked to its side. The base is also circular, and the base is made of a horizontal, circular band of hand forged iron, and the circular band is connected and supported by six vertical, hand forged, iron legs. The coffee table is 100% customizable.